USC public address announcer Petros Papadakis popularized the nickname “Noodles” Nick Young while the swingman played at USC. In the NBA, Young has turned into a fashion trendsetter and he now goes by the nickname “Swagy P,” as evidenced by his Twitter handle @NickSwagyPYoung. 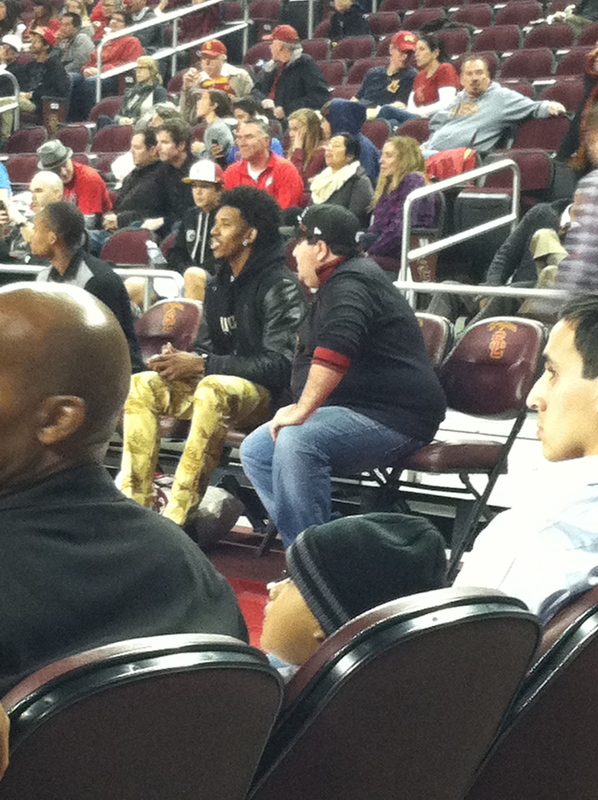 Young sat courtside during USC’s 63-61 victory over Dayton on Sunday. He made a statement with his bright yellow pants. Young currently plays for the Philadelphia 76ers and averages 10.2 points per game.